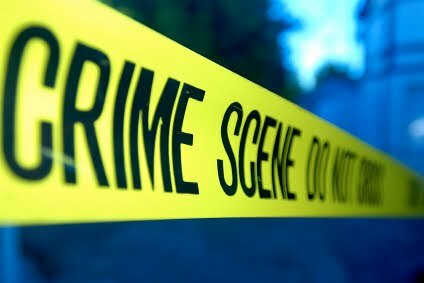 >As of today I will be adding a new feature to the MiddletownMike blog that I will call “Crime Scene, Middletown”. After hearing many complain about the lack of information available to residents about crime being committed in the neighborhoods of Middletown, I went down to Police Headquarters and asked to be placed on the email list for press releases issued by the department. Today, I received my first two press releases from Detective Lieutenant Stephen F. Dollinger, who oversees the Township’s Detective Bureau. The first release announces the arrest of suspect Dustin Jeardon, Atlantic Street, Keyport for burglary and theft to a home located on Wilson Avenue in Port Monmouth. The second press release details the motor vehicle stop of Rachel Goldberg, age 19, from Riverside Avenue in Red Bank. Goldberg attempted to flee the scene after being stopped. Her vehicle was pursued until it was stopped in the parking lot of the Visiting Nurse Association in Red Bank. Goldberg was placed under arrest for eluding. A search of the vehicle revealed a small purse which contained marijuana and a pipe used for smoking marijuana. After begin processed and released on her own recognizance. Middletown – A Keyport man is incarcerated in Union County jail for burglaries committed in Union County and Middletown Township. Middletown Det Laurence Schachtel developed Dustin Jeandron, age 27, Atlantic Street, Keyport, as a suspect in a burglary and theft which occurred on October 29, 2010 to a home located on Wilson Avenue in Port Monmouth. Det. Schachtel signed complaints against Jeandron and Middletown Police have been actively seeking Jeadron. Jeandron was arrested December 22, 2010 by Cranford and Clark Police Detectives during the course of committing a burglary in Union County. He is currently being held in Union County jail on a total of $90,000 bail. Police are continuing their investigation to determine whether Jeandron may be responsible for other burglaries committed in the Middletown area. Middletown – On December 26, 2010 at approximately 1:10am Sgt. Sean Sweeney was on patrol on Highway 35 when he stopped a vehicle, driven by Rachel Goldberg, age 19, from Riverside Avenue in Red Bank, for motor vehicle violations. After obtaining Goldberg’s driving credentials Sgt. Sweeney was in the process of issuing summonses when Goldberg began to flee the scene in her vehicle. Sgt. Sweeney pursued the vehicle until it was stopped in the parking lot of the Visiting Nurse Association in Red Bank. At this point Goldberg was placed under arrest for eluding. A search of Goldberg by Officer Heather Pusylski of the Red Bank Police Department, who had arrived as back up, revealed a small purse which contained a green vegetation which Sgt. Sweeney recognized as marijuana and a glass pipe used for smoking marijuana. Goldberg was transported to police headquarters where she was charged with eluding, possession of marijuana and possession of drug paraphernalia. She was also issued motor vehicle summonses for a provisional license violation, careless driving, improper passing, failing to change address on license and possession of a controlled dangerous substance in a vehicle. Goldberg was processed and released on her own recognizance. > For those that my be interested in knowing (as I was), Tuesday’s tax lien sale in Middletown happened as planned despite the snow emergency that was declared by our Mayor. So while residents were busy trying to get out of their driveways and streets in order to get to work on time or make it out for bread and milk, Town Hall was plowed clean and was accessible to those that braved the elements to participate in the sale. I was told that the sale went well but didn’t finish until after 5 pm due to the conditions outside. Evidently the sale started a little late but went on without a hitch afterwards. I didn’t ask how much was collected but the woman I spoke to said that they were happy with the outcome. So the moral to the story as they say is “The show must go on”. It doesn’t matter whether or not streets are plowed or basic services are provided for the safety of area residents. What matters is as long as the Town gets it’s share of the pie, nothing else matters. Maybe the tax sale could have been postponed for a day or so and those resources used to clear out Town Hall, could have been better utilized digging the Town out from under all the snow. >It’s Official As Far As I’m Concerned; I’m Done Shoveling! >It’s only taken 4 days, but as far as I’m concerned, I am done with shoveling. The last bit of snow that need to be shoveled was covering the sidewalks in front of my house. It took about two hours to shovel close to 3oo hundred feet of sidewalk, but it is now over and done with until the next storm, which I hope wont be anytime soon. Status report on the condition of the streets through out my neighborhood is that the streets are doing better. It now seems that the town snow plows have gone through the streets of the development at least once. I am hoping that they can make it back for a second pass soon, there is still an awful lot of snow that needs to be pushed off to the side in order to widen roads for safer passage. >APP Letter: Who’s running show in Middletown? The Middletown Department of Public Works knew well in advance of the snowstorm that hit on Sunday. Yet, it’s Monday night at 9:15 p.m., and my street, Melrose Terrace, has yet to see one plow. I spoke to friends who work for the Department of Public Works, and they say that they are all home and all plowing is contracted out. Who is in charge? I’ve been trying to call all day and just get voice mail. As a worker for a power company, I have to get to work or my job is in jeopardy — no excuses. I also have a daughter with autism and if we had an emergency it would take hours for EMTs to get here, if not days. Where’s the mayor? I’ll bet his street is plowed. Neither he nor anyone on his staff is answering the phone. I’ve lived in Middletown for 48 years and I never thought I would say this but I think it’s time to move out of this state. >Just Curious – What Gave Mayor Gerry The Authority To Declare A Local Emergency? > I have been thinking about this all night and I’m really curious, who or what gave Mayor Gerry the authority to declare a local emergency in Middletown yesterday and what type of “Power” did this give him? What penalties could residents have expected if they were found to be in violation of Gerry’s “State of Emergency”? I understand that this was just another grandstanding incident by Gerry Scharfenberger attempting to make it seem that he was in charge. But I am serious, what could have happened under this circumstance? Is there anything in the Town Charter that allows the acting mayor to declare a local state of emergency and if so what powers are provided at the time of declaration? Further more, was it really nessasary to declare a local state of emergency when an actual State of Emergency was already declared by acting Governor Stephen Sweeney? If someone has time to find out answers to the above, I would be interested in hearing them. >FYI – I Just Got Home From Work And My Streets Have Not Been Plowed Yet. >I just pulled into the driveway a short while ago after working all night, why is it that I am not surprised to see that none of the streets in my neighborhood have been touched by a snow plow? I thought that Gerry Scharfenberger issued a statement saying that by midnight of last night the goal was to have at least all the streets in town plowed at least once? So far the only street that looks like it had been touched overnight was Main St., which is a thoroughfare and should have been plowed and salted to being with for safety purposes. Like most of what Gerry declares, his statement was nothing more than a blast hot air, but unfortunately for residents, that hot air can’t be used to plow or melt all the snow in the streets. >I was just forwarded the following press release from Middletown Township, from what I have been told, it hasn’t been added to the Township website just yet but will be there shortly. After reading it though, it just seems like an attempt at damage control. I haven’t been out in the car driving on the main streets, but from what neighbors have told me, many of the main streets are awful and almost impassable, Harmony Road and Rt 35 leading to Shoprite being one of them. Middletown Township Road Crews are continuing to battle one of the most severe snow storms in recent memory. Crews have been on the road working round the clock since 10:00 AM Sunday. Township crews, consisting of 40 plows and 6 front end loaders, supplemented by an additional 20-25 plows and 4 front end loaders belonging to private contractors will continue working all day through the night in hopes of reaching all streets by late Tuesday. Road crews will generally prioritize main and arterial roads first, before getting into local residential streets and cul-de-sacs. Township plows must give top priority to clearing the way for first aid and fire emergencies during storms. So far there have been 269 fire and first aid emergency incidents in the last 36 hours and over 1200 emergency calls. Normal for this time period would be about 80 incidents. Anyone who does not absolutely need to be on the road should remain at home as long as possible. The fewer cars on the road, the faster plow operators can complete their work. The sheer volume of the snow generated by this storm is far greater than we have seen in many years and therefore plowing is taking longer than usual. We do ask your patience in completing the plowing; we will get to all streets eventually. Due to a tremendous call volume some calls will not go through. Emergency 911 calls should be limited to true medical and health emergencies. Calls simply asking when your street will plowed will be difficult to answer, due to the magnitude of the situation we are facing, but again our goal is to reach all street’s at least one by midnight tonight.